While I’ve met various members of Jefferson Airplane, and worked on two Hot Tuna concert-documentaries, I never had an opportunity to meet Joey. I’ve been told he was really great guy. Jeff Tamarkin, author of the book “Got A Revolution! The Turbulent Flight of Jefferson Airplane,” wrote a nice overview about his friend for JamBands.com. Daniel E. Slotnik wrote the New York Times obituary of Joey. As we look at the life of Joey Covington, we are reminded of perhaps the one of most entertaining moments of his career – the night he performed an unforgettable rendition of LOUIE LOUIE. I know of no eyewitness accounts, reviews or even second hand accounts of this show, so at this point all of my questions remain unanswered. What follows is some speculation about these shows–I don’t know any more than anyone else, which is close to nothing, but most Bay Area Dead shows from the 60s have a wide variety of historical ephemera, like posters, reviews or eyewitness accounts, and this show has none. 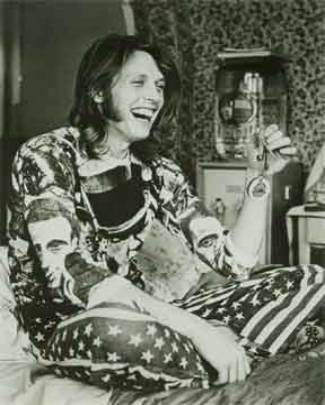 The concluding “Louie Louie – Twist & Shout – Blue Moon” sung by Joey Covington, the drummer at that time for the Jefferson Airplane, is arguably the poorest, yet most hilarious five minutes in Dead/Airplane tape history. By now, the it is clear that the effects of inebriation have taken their toll, and for a moment you feel as though you’re in the midst of a sixties college fraternity party. This is true party music at its best and worst! You can hear the full recording of this show at Archive.org. Or just watch the YouTube video as we celebrate the legacy of Joey Covington with this Week’s LOUIE! There will be a Joey Covington Tribute Concert on August 31, 2013 at the Hood Bar and Pizza in Palm Desert, California. 25% of the proceeds going to The Well in the Desert who feed the poor and needy in the Coachella Valley-Palm Springs Area and a portion to Lauren Taines (Joey’s widow) for funeral expenses.